In the old days, the only “tactical” flashlights were big, bulky, heavy monstrosities that ate D cell batteries and weighed down your duty belt. The story went that you had to carry your gun on one side and flashlight on the other just to keep your balance. Just like switching to polymer frames reduced the weight of most handguns, switching to aircraft aluminum construction for flashlights helped lighten the load, but many models were still fairly unwieldy. The main reason for their massive size was a lack of illumination power and too-short battery life in smaller flashlights. Not so today. With the invention of smaller high-powered bulbs and breakthroughs in longer lasting battery technology, manufacturers began shrinking flashlights to a more manageable size and weight, yet retaining – and in some cases outperforming – the brightness of their oversized ancestors. One primary consideration when choosing a good tactical flashlight is light intensity, measured in lumens. The dictionary definition of a lumen is “a unit of luminous flux equal to the light emitted in a unit solid angle by a uniform point source of one candle intensity.” In laymen’s terms, lumens are the amount of light that a bulb puts out. 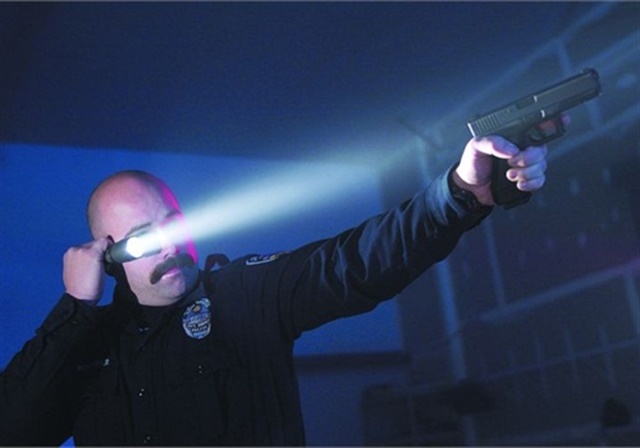 Consumer flashlights not designed for law enforcement typically run up to 100 lumens. 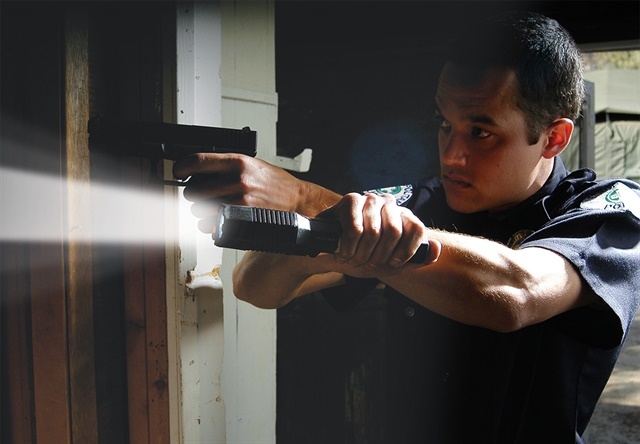 True tactical flashlights operate up to 1,000 lumens. The more lumens the flashlight gives off, the more light you have to see by. This works to your advantage two ways. First, if you’re searching for a suspect, it’s harder for him to hide from a higher intensity light. Second, once you illuminate the suspect with higher lumens, he has a hard time seeing you, often causing the suspect to shield his eyes with his arms, giving you a better look at whether he’s carrying a weapon, a clear tactical advantage. Many modern flashlights come with dual low and high settings, so you can fill the darkness with light when you need full power or switch to lower power to save batteries. How long your batteries last is a function of two variables: the flashlight’s intensity (lumens) and how long it’s turned on. Obviously, each time you turn the flashlight on, the batteries drain. But now much? And how long until the batteries die? LED bulbs, which are quickly becoming the new standard, are much more efficient than traditional flashlight bulbs. This adds to less battery drain than with a comparable traditional bulb. However, the higher the intensity, the shorter the battery life, simply because the battery is putting out more energy per hour than it would on a lower setting. High intensity lights require more power than their lower intensity counterparts. Knowing this, manufacturers often pair lower intensity lights with lower output batteries, mostly to cut costs and offer a lower retail price. Nickel Cadmium (NiCad) batteries are the most common flashlight power source, offering good output and decent average lifespan. They can power many of the medium-lumen lights for several hours before they begin to fade. Lithium 123s often power many higher intensity lights. They are a little more expensive but have the output and lifespan needed to work nighttime and other low-light environments with plenty of lumen output. One advantage of the old style flashlights was their ruggedness. They were beefy. You could drive a nail with them. Drop them onto the sidewalk during a foot chase and they still shined just fine. Today’s smaller, lighter-weight flashlights are made of tough metal and composite materials that give them the same durability and drop protection in a more grip-friendly package. The ANSI FL1 Standard measures durability by dropping flashlights six times onto concrete from a rated distance. 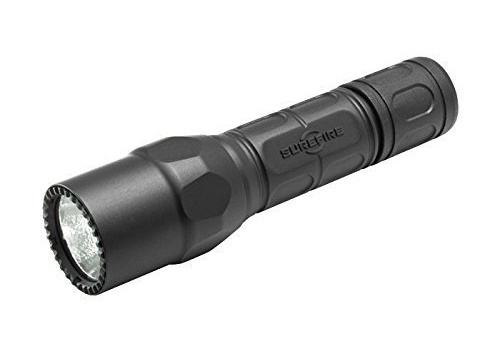 Many tactical flashlights come with added features such as a bezel that doubles as a glass breaker. This can prove helpful if you need to break a window of a burning car, for example. The raised bezel also offers extra lens protection, as the lens is no longer flush with the edge. In addition to fending off drop damage, many of today’s best flashlights are waterproof or water resistant, thanks to seals and O-rings at each end of the body. To mount or not to mount, that is the question. Do you add a flashlight to the Picatinny rail on your weapon or hold it in your support hand when you aim? Both have benefits. 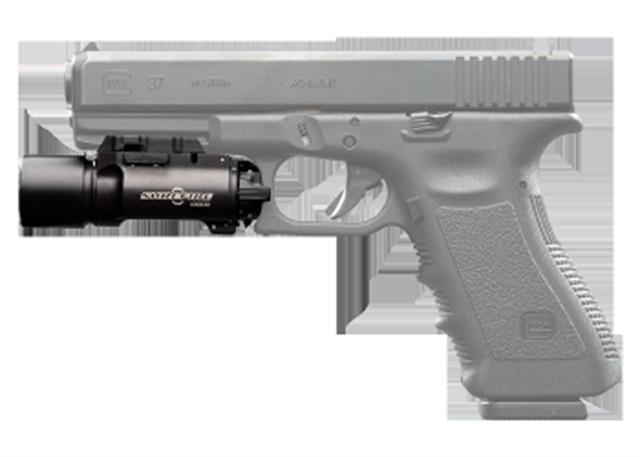 Weapon-mounted lights take less manipulation because they are ready when you draw your weapon from the holster. Just flip the switch (which can easily become a habit, if trained) and your light automatically points wherever your barrel goes. This is especially helpful when you already know you might need to shoot or your support hand is needed for opening a door or moving objects or people out of the way. It also makes magazine changes easier because your support hand is completely free. 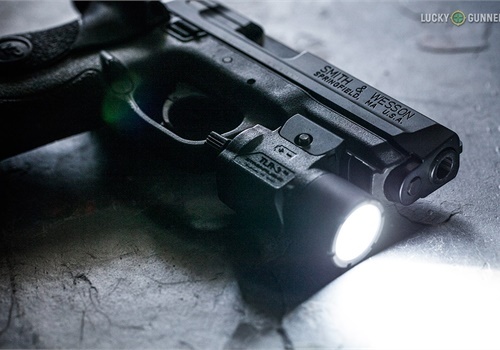 If the weapon-mounted light is your only light, however, you can create a potentially dangerous environment rampant with liability issues if you have to draw your gun and point it every time you need to shine a light. Separate carry lights have their plusses and minuses, too. On the plus side, you can use your flashlight without unholstering your gun and pointing it at whatever you’re trying to see, threat or not. 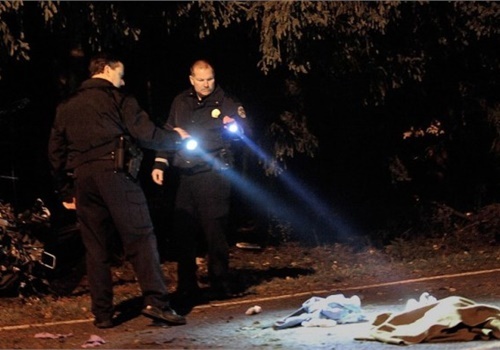 Since you use your flashlight far more often than your gun and usually don’t need them at the same time, you can keep your gun safely tucked away while searching for a lost child. You can also use the bezel to break glass without your gun. The bad side to holding a separate light means you might have to shoot one-handed. And if you drop it, you’re suddenly blind in the dark. Many officers carry both so they have options, and a spare light, if needed. Whichever one you choose, make sure to train with it so you won’t be left fumbling at the wrong time.